Initial results from Sunday's local elections in Turkey showed the opposition Republican People's Party (CHP) had narrowly taken control of the country's two biggest cities — Istanbul and Ankara. The High Election Board (YSK) has since ruled in favour of a partial recount of votes in 18 of Istanbul's 39 districts. Ekrem Imamoglu, Turkey's main opposition candidate in the city, told Euronews his party "has data that matches the YSK's results". "There might be some mistakes but it is sure that these little mistakes cannot change the outcomes," he added. President Tayyip Erdogan's ruling AK Party submitted objections to election results in all districts of both cities, saying the results had been impacted by invalid votes and voting irregularities. "They (AKP-Justice and Development Party) don’t have any data that could change the election’s results. It’s just a way of managing perceptions," Imamoglu said. On Wednesday, he urged the YSK to confirm him as the elected mayor. "Trying to re-count all invalid votes might cause suspicions," he told Euronews. "It might damage Turkey’s democracy and bring it to a negative place." Erdogan campaigned hard for the AKP ahead of the vote and stands to lose some oversight for local contracts in the two cities, possibly complicating his efforts to drag the Turkish economy out of recession if the results are confirmed. 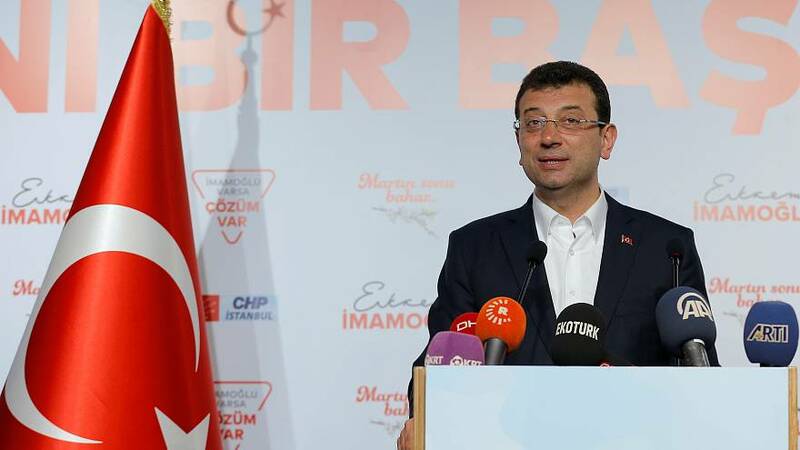 "Admitting defeat as much as celebrating a victory is a virtue but they cannot do that," said Imamoglu. "This is what makes me sad for Turkey and Istanbul. "We know that they have been governing Istanbul for 25 years now and we know that it is important to be mayor in this city but they should know that it cannot continue forever." When asked about any possible ambitions for the presidency, Imamoglu said that for now his sights were set on governing Istanbul and "being very successful at it". "Time will tell," he added. "In the future, nobody knows what society will bring for a politician." You can watch key moments from Euronews' interview with Imamoglu in the above video player.